Obituary for Clayton Nickoles Folden | Grissom-Martin Funeral Home, Inc.
Clayton Folden, 67, of Columbia, Kentucky, died Thursday, August 30, 2018, at TJ Samson Community Hospital in Glasgow. He was born May 10, 1951, in Barren County, to the late Clayton Elvis and Hallie Mae Houchens Folden. 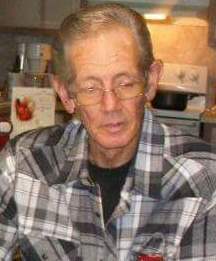 He was a retired carpenter and a member of Mintonville Masonic Lodge.